ICP Quality Assurance ("QA") Assessors are experienced firms with the necessary qualifications and certifications to competently perform technical reviews of projects seeking IREE certification. ICP Quality Assurance Assessors play a crucial role in the ICP System and provide independent verification that projects are compliant with the ICP Protocols and are eligible for certification as Investor Ready Energy Efficiency™ projects by GBCI. The ICP System requires that QA Assessors to be independent third-parties to the particular transaction, thus ensuring that there is no conflict of interest associated with the review. The responsibilities of the ICP QA Assessors include ensuring that the project was developed according to the ICP Energy Performance Protocols and checking that the underlying methodologies, assumptions and results of projects seeking IREE certification follow best practices and are reasonable based on the reviewer’s professional experience and available guidelines. To assist ICP QA Assessors with this task ICP provides the ICP Project Development Specification, the ICP QA Specification, and the ICP QA Checklists. 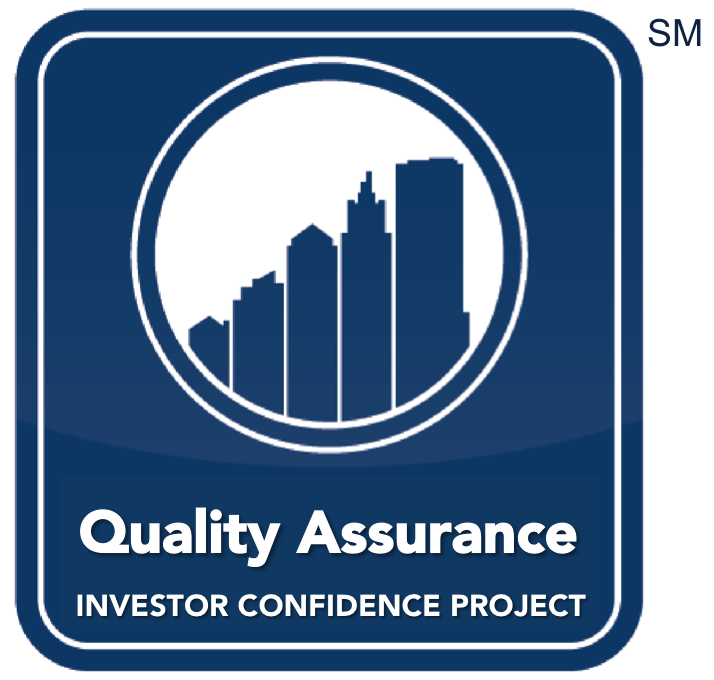 The end result is that building owners, investors, and all project stakeholders can have confidence that projects that are successfully reviewed by ICP QA Assessors possess robust engineering and reliable predicted savings. Employ a licensed Professional Engineer (PE). Must complete the ICP IREE Certification Training as well as the ICP Quality Assurance Assessor training. Once you complete the information form (to the right), you will be contacted about training options. Interested in becoming an ICP Quality Assurance Assessor? Please contact us so that we help your organization get trained and apply to the program. Logo Use: Logo shall be hyperlinked to the corresponding provider webpage on the ICP website, when used in digital format.